This novel is completely imbued with melancholy. It tries to make some sort of sense out of the lives lost to Stalinism but fails to do so. At different times there is a glimmer of hope but the reality of the world in which it is set extinguishes this. The novel was unfinished and I think it could have become a major twentieth century work alongside Life and Fate. As it stands it changes two thirds of the way through to Ivan’s meditation on Stalinism which we can accurately surmise is actually Grossman’s voice. Books like this need to be read because they are not a trite summary of something past, they are a complex unyielding document of man’s inhumanity within the context of a greater cause. I can’t say that it was an enjoyable read but it was a thought provoking read and an important read. There are structural problems with the book because it was unfinished. Ivan becomes Grossman. 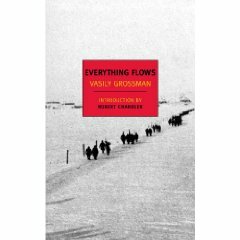 If Grossman had been given more time I am certain that the ideas in the meditation would have been given a fictional voice within the novel As it stands though, the last part of the novel is very powerful and you feel that Grossman has done away with all this fictional artifice and is stating his views clearly and with power. The subject relates to Stalinism but it has a wider political context. The episode relating to the famine in the Ukraine where millions are believed to have died through Uncle Joe’s determined inactivity is particularly distressing. The novel achieves its purpose without sentiment which is its strength. Events and ideas are told as they are and we ourselves imbue them with sadness. 1. Antwerp. I have only been to Belgium once for work and most of it was spent working unfortunately. This was in Brussels – not Antwerp. 2. Paul Delvaux. I like surrealism but have never really been conscious of Delvaux. This needs further investigation. 3. Harry Kumel. I had never heard of Kumel but have seen Last Year at Marienbad by Resnais which is discussed along with Kumel in the novel. I wonder if there is some sort of box set on Amazon. 4. Belgian designers. Apparently their work is cut very nicely but with an absence of colour which quite suits me. 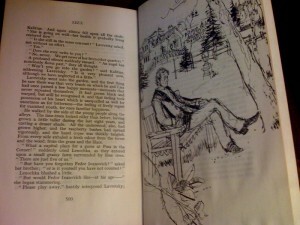 This novel engages you almost immediately and is structured in an interesting way as it moves towards the final climax. 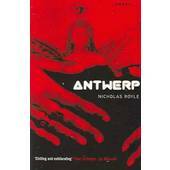 It is a thriller of sorts but with many interesting art and film references. If it was purely a thriller I might not have been so engaged but the meat on the bone was a sometimes hinted back story for each of the characters and the general art and film context within which it was set. At the end I was left nodding with a few more more creative roads to investigate, which is what a good book or piece of art should engender. In my opinion. After the the Russian behemoths I read immediately prior to this, Antwerp was a welcome change before my next read – the Oxford Reference Grammar. Very enjoyable. I enjoyed this story: it was well written and melancholy. Despite being published in 1858 it felt more modern than Anna Karenina which I read immediately before. Varvara Petrovna can be almost seen as a prototype for Anna and it would be interesting to find out if Tolstoy was influenced by this character. The novel is supposedly Turgenev’s least controversial and his most read up until the end of the nineteenth century. There is nothing too complex here; simply a good story which has a fair dose of melancholy. Things are left unsaid which I like – it works nicely with the analysis of ‘potential’ as a theme. Worth reading if you have read Turgenev previously, but you may be better reading one of his major works like ‘All is the Eve’ or ‘Fathers and Sons’ if you haven’t encountered him before.